Emergencies in the form of natural calamities and anthropogenic disasters are not in one’s control. However, to prepare yourself and your household for any unusual circumstances is in your hand. Having prepared disaster and emergency kits helps a family in lessening the brunt of the havoc caused by such situations. Here, we will look into short details of some of the emergency instances where prepared disaster kits can come handy to deal with the situation in a better way. Unannounced power shutdowns can occur due to bad weather or any other technical glitch. These outages can last for several hours or even days depending on the underlying reason. Apart from no electricity in your house, power failures can also result in interruption of water supply of the area. Food in your refrigerator and pantry is also vulnerable to get rotten in case of long hours of power outage. 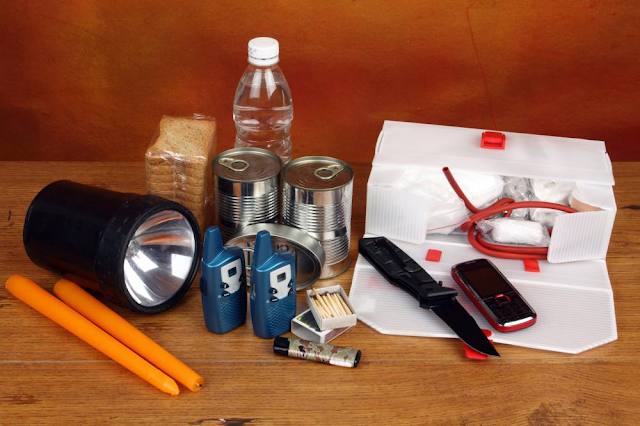 Therefore, to counter the adverse effects of any unannounced and unanticipated power failure, having 1 day or 72 hours survival kits with supplies of food, water and flashlights with extra batteries can help a household to go through that difficult phase with relative ease, which is not guaranteed if you don’t have an emergency kit in your house. With the phenomenon of global warming and deteriorated state of our ecosystem, each of the US state is now at the risk of natural catastrophes. Only way to survive through the tough times invited by such disasters is to have yourself prepared in advance. Hurricanes with higher intensity and power demand evacuations and for that having emergency survival kits designed for 72 hours is a must. Survival kits designed and packaged to meet the recommendations of federal and state administrations includes first aid kits, emergency ponchos and blankets, flashlights, radio sets, gloves with leather palm and food and water supplies. These essential items can assist families to survive the transitional times during which authorities try to reach the affected neighborhoods. Forecasting of earthquakes and tsunamis is not possible yet. Nearly every piece of land on the ecosphere can experience the resultant jolts of tectonic plates’ movement in the earth crust. Earthquakes of severe Richter scale can culminate into the destruction of fundamental infrastructure and consequent interruption of basic facilities. In the aftermath of an earthquake, affected households might find themselves in a dire need of some basic supplies for a day or two. 72 hour emergency survival kits are a perfect option to have in the house for earthquake preparedness. With 3 days of water and food supply and other essential item needed in an emergency situation, a family can successfully pull through the difficult times. Other than the above-mentioned circumstances, having yourself prepared for any unforeseen situation through readymade disaster and emergency kits is an essential measure that should be taken to ensure the safety and health of you and your family.